Are YOU a Skyrim historian? 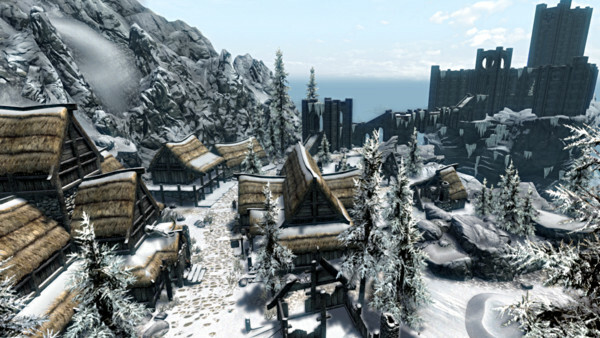 Vacationing in Tamriel's northernmost country is the last thing any level-headed, ordinary human would want, but the Dragonborn? They laugh in the face of such strife, eager, not just to rid the land of Alduin and his other draconic cronies, but devour the wealth of other challenges, big and small, its borders have to offer. Whether it's putting to rest an age-old civil war, halting Daedric influence or cleansing sprawling tombs of meandering draugr at the behest of locals, wise delegation of the Dovahkiin's free time is a must, or else you'll never attain the scholarly knowledge required to defeat what lies ahead. 1. In Which City Can The Mage's Guild Be Found?